Do Spot Removal Cleaners like Resolve Work? 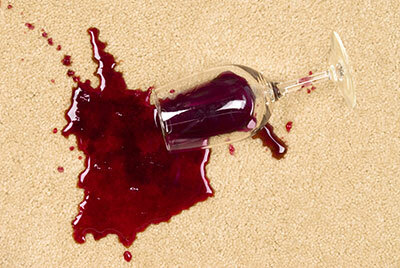 In most cases, a carpet spill will cause the home owner to panic. It's common knowledge that prompt response is key when trying to remove carpet stains and, as a result, many home owners will make rash decisions that can end up damaging their carpets. While prompt response is indeed key to successfully dealing with a stain, trying to address the spill on your own can lead to disaster. 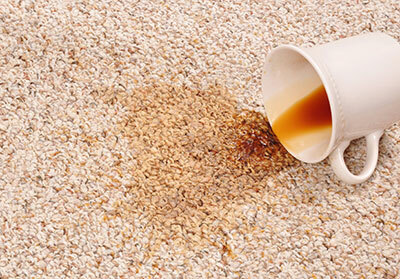 The spill and the resulting stain are bad already, but you risk making things noticeably worse if you opt to scrub the carpet or apply heavy chemicals to it. And what about the chemicals in question: do spot removal cleaners like Resolve work? Moreover, are they safe to use on your carpet? While the idea of Resolve sounds great, making good use of it without damaging your carpet is another story. Like most commercial carpet cleaners, Resolve is best used on a rough carpet, possibly one that is factory-made with few vulnerable colors and tough fibers. But how can you know whether your carpet is tough enough to survive Resolve? Furthermore, Resolve can also damage even the most resilient carpet through improper use. When talking carpet care, we believe in methods that only do good: if a cleaning method brings with it a risk of damaging the carpet or making its fabric rougher, we won't use it. Using Resolve is definitely one such method and we'd advise home owners to avoid it and similar substances. The problems with using Resolve and the like are numerous. There are hundreds of different carpet materials and colors – while the base materials themselves might not be as varied, the way they were used in carpet creation makes all the difference. Because of this, you have no way of knowing how Resolve will interact with your precious carpet – are you absolutely positive you won't cause it harm? Making matters worse is the fact that the average carpet owner lacks the knowledge and technique necessary to remove a spill. Home owners are usually far too gratuitous with their application of Resolve as they follow a "the more the merrier" train of thought. Unfortunately, too big of a dose of Resolve can create a stain that's a lot worse and more noticeable than the original one. That's right: using Resolve can have the opposite effect from the one you're wanting. Instead of dabbling in dubious cleaning substances that can damage or even ruin your carpet, let Corpus Christi Carpet Cleaning Pros take care of the stubborn spot for you. We use different cleaning substances depending on the carpet we're working on and we have access to machinery that allows for far more effective spot cleaning than Corpus Christi home owners can hope for when cleaning on their own. The next time your carpet suffers a spill, don't make an even bigger mess by trying to remove it – simpy blot the area with a dry cloth and hit us up with an emergency call in order to get the best possible results.